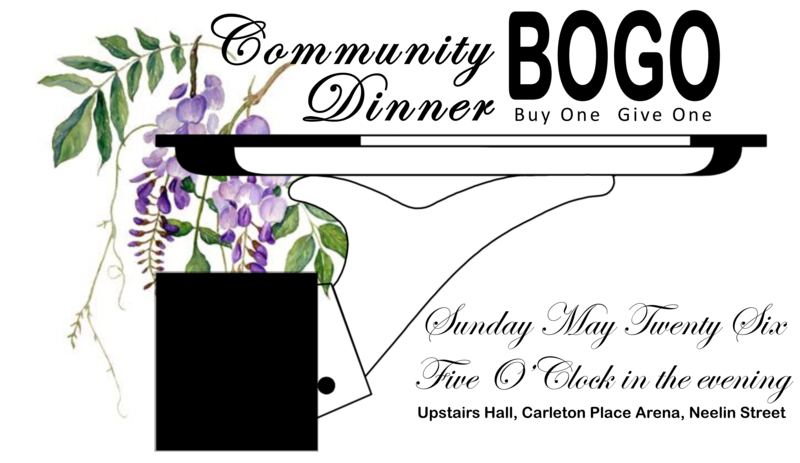 Our COMMUNITY BOGO DINNER is our main fundraiser in the spring to help carry us through the leaner summer months AND it is awesome (and super yummy). The summer months are particularly difficult for food banks as our reserves fall alarmingly low due to vacations and no school (which means no school food drives nor school food progarms). Chef Ian Carswell of The Black Tartan Kitchen will be directing our volunteer kitchen staff to create ambrosia along with Rob Carpenter of The Beckwith Butcher. The theme for this year’s dinner is an English Garden Party and we will all practice “pinkies up” while you dine. Buy One, Give One – every ticket bought buys your dinner and a dinner for a Food Bank client. Tickets are available at The Granary, The Beckwith Butcher, The Hunger Stop, and onine here -> ONLINE TICKET.